HAROLD L. KESTENBAUM is an attorney who has specialized in franchise law and other matters relating to franchising since 1977. From May 1982 until September 1986, Harold served as franchise and general counsel to Sbarro, Inc., the national franchisor of over 1,000 family-style Italian restaurants and, was a director from March 1985 to December 2006. From September 1983 to October 1989, he served as President and Chairman of the Board of FranchiseIt Corporation, the first publicly traded company specializing in providing franchise marketing and consulting services and equity financing to emerging franchise companies, which he co-founded. Harold has authored the first book dedicated to the entrepreneur who wants to franchise his/her business called “So You Want To Franchise Your Business”. It is a step by step guide to what a businessperson needs to know and do to properly roll out a franchise program. Harold has served as franchise counsel to many regional, national and international franchise companies in many diverse industries. 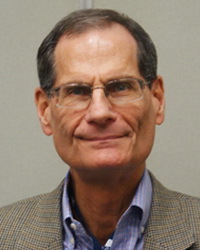 Harold’s expertise in franchise law is enhanced by his practical experience in serving as the Chief Executive Officer of a national franchisor and in serving as a Director of numerous nationally and internationally known franchisors, experiences that are rare and unique in the area of franchise law. Harold is engaged exclusively in the practice of franchise distribution and licensing law, representing exclusively franchisors, both start-up and established. Harold received his Bachelor of Arts Degree in 1971 from Queens College, Queens, New York and earned his Juris Doctor Degree from the University of Richmond School of Law, Richmond, Virginia, in 1975, where he was a member of Law Review. He is listed in “Who’s Who in American Law”, “The Best Lawyers in America” (Franchising), and is on the Martindale-Hubbell Bar Register of Preeminent Lawyers.